With the many options available for senior care, you’ll want to make sure you choose an in-home care agency that can best meet your elderly loved one’s individual needs. This may involve a bit of research and interviewing to find the ideal match, but will likely be worth the additional effort. To choose elderly home care Guelph seniors can benefit from, carefully read the literature provided by an agency and ask questions about how caregivers are trained, screened, and monitored. For instance, does the company perform a background check for each caregiver? Understanding the agency’s policies allows you to select a professional, well-trained caregiver for your loved one. 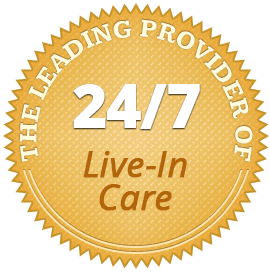 Choosing an in-home care provider that offers frequent monitoring such as supervised care or daily care reports helps ensure your loved one is receiving high-quality care. Supervised care is particularly important for seniors with limited communication skills, as these seniors may not be able to tell you when a problem occurs. A simple way to ensure high-quality care for your loved one is to choose an established company that follows an accepted care model. For instance, at Home Care Assistance we train all of our caregivers in the Balanced Care Method, which promotes excellent physical health, mental awareness, and inner calm. 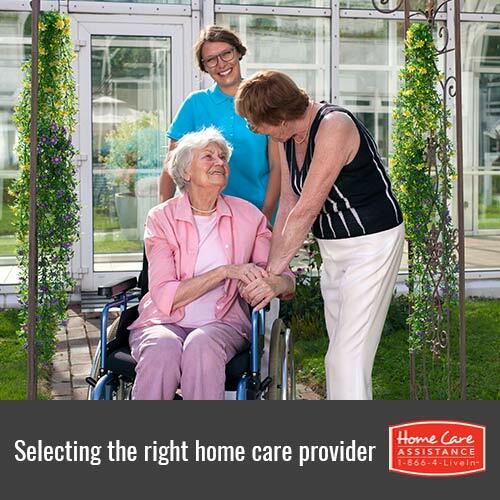 In-home care providers often allow families to choose a caregiver based on their personal preferences. Instead of hiring the first candidate offered, take the time to interview additional caregivers. Ask about their professional credentials and experience, but also consider their personalities and preferences. The right caregiver is someone who communicates well, has similar interests to your loved one, and has experience working with other seniors who have similar health conditions to your loved one. If possible, hire a caregiver on a trial basis to determine if he or she is a good match for your loved one. Even though Guelph caregivers employed by a professional in-home care provider have typically passed a background check, take the time to check the caregiver’s references. Running your own background check is also an option. You can typically purchase background checks online for a small fee. Consider adding a new caregiver to your social media accounts, if possible, to determine more about his or her personality, hobbies, and character. Reach out to Home Care Assistance of Guelph to help keep your loved one safe and comfortable as he or she ages in place. We conduct extensive background checks on our caregivers and offer them continued training at Home Care Assistance University, and we also offer a complimentary matching service to make sure your loved one is partnered up with a caregiver who can provide the care he or she needs. For seniors who need more comprehensive care, we also offer specialized Parkinson’s, post-stroke, and dementia care Guelph families trust. For more information and to schedule a free in-home consultation, call one of our experienced Care Managers at (519) 954-2111 today. Can a Family Successfully Provide Home Care for More Than One Senior at a Time? What Steps Should You Take After a Dementia Diagnosis?